Beginning July 19, 2016, certain New York City businesses will be required by law to separate their organic waste. If your business meets the minimum requirements outlined below, you must comply with the business organics rules. Businesses covered by this proposal are given the option to arrange for collection by a private carter, transport organic waste themselves, or process the material on site. Suitable processing methods include composting and aerobic/anaerobic digestion. A food waste grinder is not permitted. Business Resources: materials and trainings offered by DSNY. Self-Transport: Businesses choosing to haul their own source-separated organics must register with the NYC Business Integrity Commission (BIC). On-Site Processing: Businesses covered by these rules that choose to process organics on-site must register with DSNY within 30 days of installing on-site processing equipment. This entry was posted in Environmental Concerns, Going Green, News, Recycling, Uncategorized on April 12, 2016 by BioHitech America. Recology instructed San Francisco school officials to not recycle the recyclable plastic trays the district uses daily to serve students food. So reports the Chronicle, which details the jaw-dropping behavior by the city-contracted waste company that began in 2013 and may have only stopped when the paper began asking questions about the bizarre instructions given to school officials. “Recology has told us they don’t want any plastics because they’re too soiled,” the principal at Commodore Sloat Elementary School, Greg John, told the paper. “It’s now institutionalized.” Of course, the trays are perfectly recyclable — covered in food or not. Food scraps mixed in with paper, however, lowers the resale value of the paper for the company, the Chronicle observes. In response to what is clearly a PR nightmare for the company, spokesperson Robert Reed dug a little deeper and attempted to shift the blame to school children too “lazy” to rinse off the trays before disposing of them. “If you were just lazy and tossed a plastic tray into the recycling that had spaghetti sauce on it, you would be diminishing the quality of the paper that’s getting ultimately recycled,” Reed told the paper. Recology later attempted to backpedal. So, it seems that Recology is more focused on protecting the resale value of the paper more than supporting that whole zero landfill waste by 2020 thing. This entry was posted in Going Green, Recycling, Uncategorized on February 23, 2016 by BioHitech America. Administration proposal expands organics diversion program to the commercial sector. On July 1st, Mayor Bill de Blasio’s administration unveiled their proposal to expand organic diversion to the commercial sector. The program would be mandatory for some 357 New York City businesses that generate large amounts of food waste, like the Barclays Center, Citi Field and Yankee Stadium; restaurants inside hotels with more than 150 rooms; and large food-processing plants. 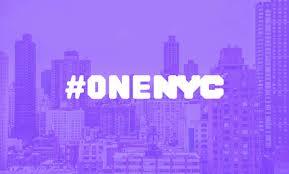 The city is planning to eventually require all restaurants to participate in the program, which began under Mayor Michael R. Bloomberg. The program is designed to cut methane emissions from landfills and make waste disposal practices more sustainable in the nation’s largest city. Specifically, the program will affect 132 hotels, 7 arenas, 58 manufacturers and 160 wholesalers, according to the city. The City estimates that these waste generators produce approximately 50,000 tons per year of food waste that can be either composted or handled in another sustainable manner approved by the Department. City Hall said this program is environmentally responsible and would save space in the region’s overcrowded landfills. Kathryn Garcia, the city’s sanitation commissioner said the regulations wouldn’t cost the public any money because they would be the responsibility of affected businesses to comply. Those affected businesses would be given a six-month grace period, after which violations would result in fines, though the amounts haven’t yet been disclosed. “We want to be at the forefront of cities that are going to zero-waste-to-landfill,” Kathryn Garcia, said. In total, the city’s commercial establishments generate roughly one million tons a year of organic waste. So this action will need to be followed up with more expansive directives over the next several years, so that the program ultimately includes all significant food waste generators in New York City. With the Mayor’s recently released OneNYC sustainability plan, this is apparently what the de Blasio administration plans to do. Hearings on the proposed regulations will begin in the fall, and the city hopes to see them go into effect next year. This program brings New York City one-step closer to declaring its independence from environmentally troublesome, methane-generating, climate-altering landfills. This entry was posted in Going Green, News and tagged BioHitech America, NYC Food Waste Program, Sustainable Waste Disposal, Zero Waste to Landfill on July 7, 2015 by Lisa Giovannielli. Residents in Alameda County, California, apparently hit a wall last year in separating kitchen food scraps from their garbage cans, seriously slowing a trend that became standard with curbside pickup across the county in 2008. What many residents may not know, recycling advocates say, is that the messy task of putting food scraps into a different container and putting it in the green bin helps slow climate change. When people put food in trash cans, it goes to a landfill, where it turns into methane gas, is released into the atmosphere and contributes to global warming. 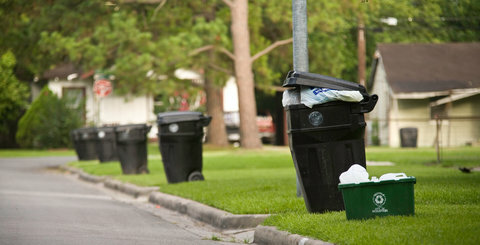 The data compiled by StopWaste, shows 2014 was a bad year for recycling food scraps compared with 2013 and 47 percent of houses surveyed did not put out their green carts on pickup day, indicating that fewer homes are participating in food scrap and organics recycling,” StopWaste spokesman Jeff Becerra said. Once a popular program is now wilting and for those working against climate change have reason to be alarmed. This entry was posted in Environmental Concerns, Going Green and tagged BioHitech America, Climate Change, Food Waste Fatigue, Residential Recycling Programs, StopWaste Data on February 6, 2015 by Lisa Giovannielli. A new Dunkin’ Donuts store certification program aims to stimulate green building techniques. After getting two stores LEED-certified since 2008, the Massachusetts-based retailer has parlayed the experience to create its own certification program for franchisees. The company will roll out the program for new construction projects, with a goal of building 100 certified restaurants by the end of 2016. If all goes well, they also want to extend the program to retrofits at some point. DD Green, as the new program is called, allows for the integration of “efficiency, sustainability and health in the restaurant development,” said John Herth, senior director for global design and construction services at Dunkin’ Brands. The five stages of the program include: site development; store efficiency; healthy indoors; sustainable operations; and innovation and community. For the new green building program, Dunkin’ Donuts franchisees either can meet minimum requirements or do more to get a corporate “DD Green Elite” plaque on their store. “My passion for creating the DD Green program came from my love for sustainability,” Herth said. “I realize how important it is and believe that as business professionals, we owe it to our planet to do everything possible to improve it. As architect and construction managers work through implementation, they will focus on the practices now expected of any green building. Employees also will be trained to operate the building efficiently. Looking forward to see how Dunkin’ Donuts evolves their operations with innovation and technology. This entry was posted in Going Green and tagged DD Green, Dunkin' Sustainable Operations, Dunkin' using Technology on December 16, 2014 by Lisa Giovannielli. As school starts back up in a just a few weeks, the children at Public School 30 on Staten Island will once again be asked to dump their uneaten bananas into a bin in the back of their cafeteria. New York City’s school composting program, kicked off just two years ago, is now in 230 school buildings in Manhattan, Brooklyn and Staten Island, and is expected to more than double in size and reach all five boroughs in the fall, with an ultimate goal of encompassing all 1,300-plus school buildings. The sad voyage of fruits and vegetables from lunch lady to landfill has frustrated parents, nutritionists and environmentalists for decades. Children are still as picky and wasteful as ever, but at least there is now a happier ending — that banana-filled bin is a composting container, part of a growing effort to shrink the mountains of perfectly good food being hauled away to trash heaps every year. 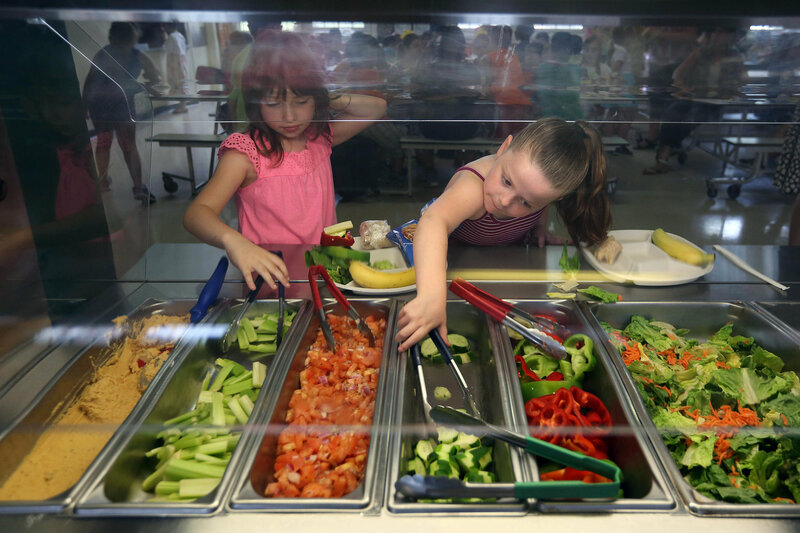 Much of food waste stream is a result of nutrition rules that require every child to be served healthy food, and health rules that ban re-serving unwrapped food once it has been placed on a lunch tray, for fear of contamination. Depending on where the school is, the uneaten and half-eaten leftovers are sent to a compost heap at a former Staten Island landfill or 123 miles away to Delaware. The 123 mile trip is far too long of a trip to turn the food waste into compost, so the city will begin sending some of those scraps to a wastewater treatment plant in Brooklyn, where “digesters” will turn garbage into usable gas. The Eco-Safe Digester offers two additional benefits to this proposed solution at the Brooklyn facility, eliminating the logistical nightmares with transporting the scraps by pre-sorting and pre-digesting the food waste into a liquid and providing key data to help guide changes to future nutrition rules. Depending on viewpoint, the sheer amount of school food now being composted is either impressive or depressing not to mention the transportation-related energy consumption, the economics of transportation, and the environmental impacts surrounding composting. The hope is that by diverting the waste from landfill, the city will help the environment, instill a sense of conservation in schoolchildren and, critically, save some money. The city currently pays $93 per ton to dump in landfills. The idea of sending scraps to local wastewater treatment facilities to where “digesters” will turn the food waste into useable gas sounds far less complicated, more economical, and a better option for the environment. This entry was posted in Going Green and tagged Diverting Food Waste, School Composting, The Eco-Safe Digester on August 12, 2014 by Lisa Giovannielli. 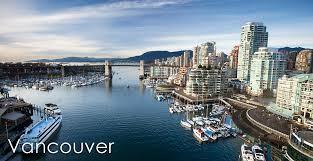 Vancouver city council is mandating that all food scraps and green waste will have to be recycled as of next year. But not just next year, in a short five months, effective January 1. Six months ahead of NYC’s ban. Just this week, the city council agreed to include hotels, restaurants, grocery stores and other commercial and industrial waste generators in a plan to divert all compostable materials from the city’s landfill and transfer stations as of Jan. 1, 2015. Vancouver began food scraps recycling two years ago for single-family dwellings and some city-serviced, multi-unit buildings, but that only accounts for a third of all organic waste in the city. This plan of requiring all waste generators to divert their compostable materials by the new year is an effort to meet a similar Metro Vancouver ban on all organic waste at regional landfills. So far, no municipality has yet to capture organic waste from industrial, commercial and institutional (ICI) producers. The one significant challenge is that the city doesn’t currently offer pickup service for the ICI sector. As a result, businesses will quickly have to either work with their commercial waste haulers to implement the new city directive or take matters into their own hands and seek out on-site solutions. The ICI sector is estimated to produce 70 per cent of the city’s organic waste and are considered the big prizes in Vancouver’s effort to reduce waste at landfills by 50 per cent by 2020 over 2008 levels. Initially, the city intends to educate people about the need to remove all organics from their garbage. But beginning in July, 2015, the city will initiate penalties directed toward large producers of waste of 50 per cent of the tipping fee for garbage loads that contain too much wet waste. Beginning in 2016, medium producers will be targeted, and in 2017, small generators could face fines. Some of the city’s larger chain restaurants, stores, hotels and producers have already been looking to put food scrap diversion programs in place. Alternative solutions, such as on-site aerobic technology allowing the digested food waste to slip effortlessly to the sewer systems is technology that has grown in popularity of late. The Eco-Safe Digester has emerged as the leader in Canadian installations primarily because in addition to being a compliant technology in respect to the diversion ban, it gives businesses exposure to the data about what is thrown out in order create less. This is seen as an added bonus. For as long as people have produced garbage, tossing out the remains of meals has been a fact of life. But now, with a renewed push to cut greenhouse gases, reduce mankind’s environmental footprint, and learn more about what is wasted in order to create less, times are changing for the better. This entry was posted in Going Green and tagged BioHitech America, Eco-Safe Digester, Food Waste Diversion from Landfill, On-Site Aerobic Digestion, Vancouver Food Scrap Ban on July 24, 2014 by Lisa Giovannielli.